Spring in the southern Yukon means animals are on the move. 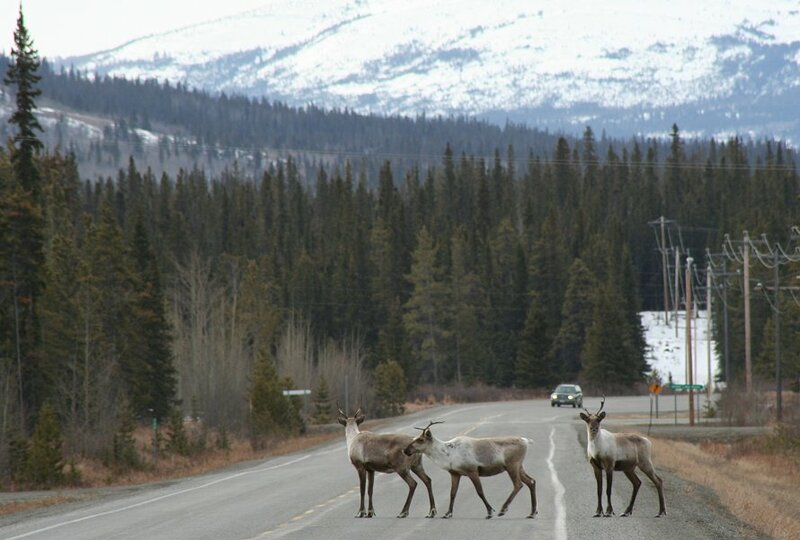 These caribou from the Carcross Herd were crossing the South Klondike Highway near Robinson on April 11, 2006. This photograph is © 2007 by Murray Lundberg, and is not to be copied without express permission.